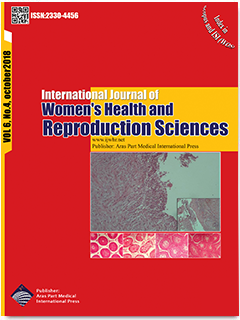 Materials and Methods: In this cross-sectional study, 266 married women in different stages of their life family cycle recruited in the study through cluster random sampling technique. Outcomes measurement was carried out using three questionnaires: demographic, ENRICH marital satisfaction, and Larson sexual satisfaction. Results: In this study, 24.4% of the women reported a high level of marital satisfaction while about 21.8% of them mentioned high levels of sexual satisfaction. Positive and highly significant correlation was observed between sexual and marital satisfaction in the first three stages of family life cycle (beginning a family (r=0.5, P = 0.001), childbearing family (r=0.46, P = 0.004), and families with preschool children (r=0.24, P = 0.036). That is, both of the above-mentioned factors decreased slightly, however, such a correlation was not observed in the following stages (P > 0.05). In addition, it was found that, in the last 3 stages (i.e., teenage, empty nest, and retirement), despite a decrease in sexual satisfaction, marital satisfaction increased. Conclusions: In general, the findings revealed that the correlation between sexual satisfaction and marital satisfaction reduced across the stages of life cycle. It seems that through deepening the relationship between the couples, other factors that are more important than sexual satisfaction would contribute to marital satisfaction as well.